Watch P!NK’s official video for “Whatever You Want” here! New Video for “Wild Hearts Can’t Be Broken”! Head here to watch P!NK’s new video for “Wild Hearts Can’t Be Broken” now! 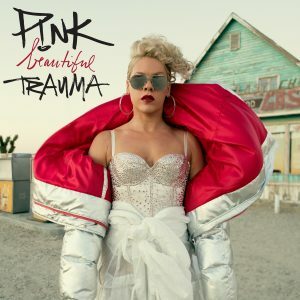 Pre-order New Album ‘Beautiful Trauma’ + Watch “What About Us” Lyric Video! Sticks & stones they may break these bones but then, What About Us? Learn the words and sing along with P!nk by watching the official lyric video for “What About Us” on Vevo! Watch now here or press play below. Today, P!nk has released a new single “What About Us” and announced that she will release her seventh studio album titled Beautiful Trauma on October 13th! She also revealed the album artwork – view it above or in hi-res here! Beautiful Trauma is available for pre-order everywhere now! Check out the full tracklist here. 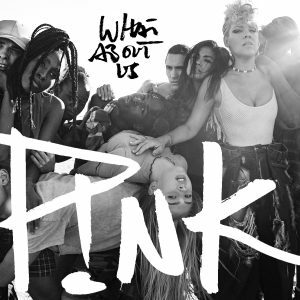 Fans that pre-order on iTunes or Amazon Music will get an instant download of P!nk’s new anthemic single “What About Us”! Pre-order is also available on Google Play. Streaming your music collection? Spotify users can stream & add the new single to their favorite playlists here! Don’t forget to pre-save the entire new album before it’s released so it automatically appears in your Spotify library on October 13th. Apple Music members can listen to the new single here. Spread the word online using hashtags #WhatAboutUs and #BeautifulTrauma! And get ready for more from P!nk coming very soon. Are you ready, Team P!nk? It is time for new music. Today, P!nk has released her new single “What About Us” and announced that her seventh studio album, Beautiful Trauma, will be released on October 13th! Beautiful Trauma is available for pre-order everywhere now! If you pre-order on iTunes or Amazon Music, you will get an instant download of P!nk’s new single “What About Us”! Pre-order is also available on Google Play. You can stream the new single on Spotify and don’t forget to pre-save the whole album before it’s released so it automatically appears in your Spotify library on October 13th! You can also stream “What About Us” on Apple Music and Google Play. PINK’S ALBUM ‘BEAUTIFUL TRAUMA’ IS NOMINATED FOR BEST POP VOCAL ALBUM AT THE 2019 GRAMMY AWARDS! GET THE ALBUM NOW HERE! 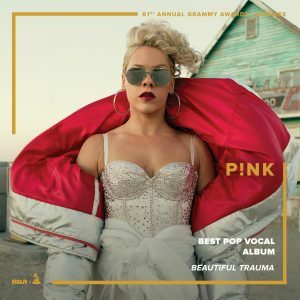 P!NK’S NEW ALBUM ‘HURTS 2B HUMAN’ AVAILABLE FOR PRE-ORDER NOW; RELEASES NEW TRACK “HUSTLE” TODAY! Click Here To Listen To “Hustle”. 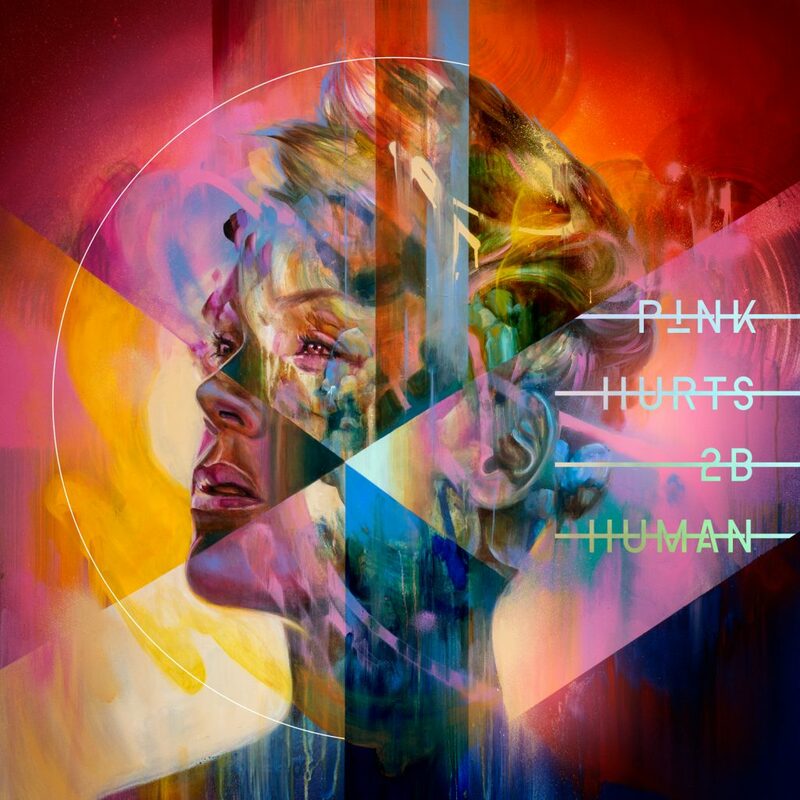 P!NK’s eighth studio album Hurts 2B Human is set for release on April 26th via RCA Records and is available for pre-order today. In celebration, P!NK releases an additional track from the album, “Hustle” (click here to listen). The upbeat track was written by P!NK, Imagine Dragons’ Dan Reynolds and Jorgen Odegard and produced by Odegard with additional production from Reynolds. 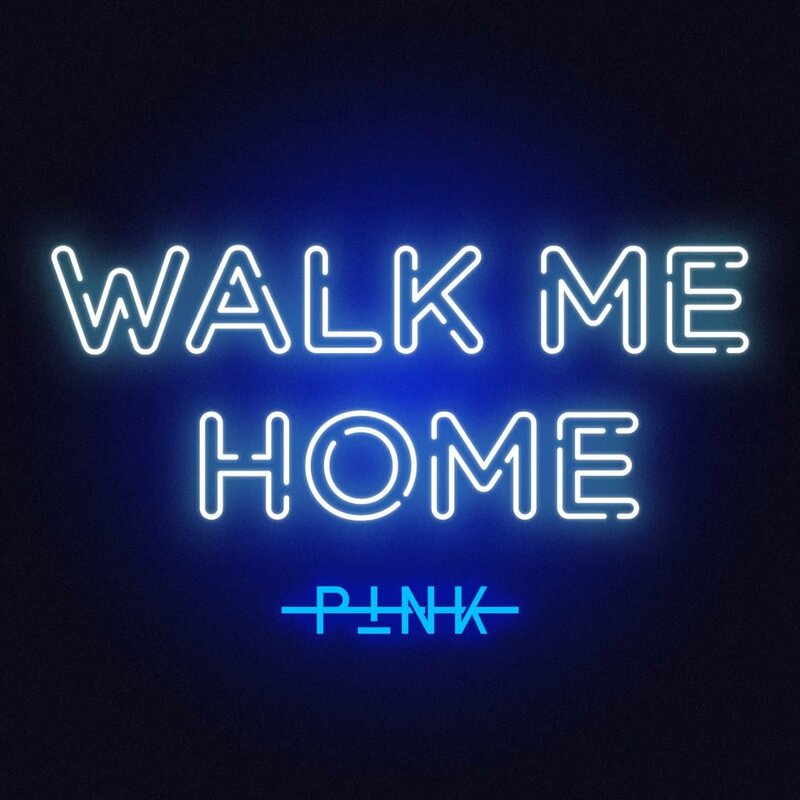 P!NK RELEASES HIGHLY ANTICIPATED NEW SINGLE “WALK ME HOME” TODAY! P!NK releases her highly anticipated new single “Walk Me Home” today via RCA Records. The anthemic new track was written by Nate Reuss, Scott Harris and P!NK and produced by Peter Thomas and Kyle Moorman. P!NK teased the song two weeks ago when she appeared on The Ellen DeGeneres Show and also announced she will release her eighth studio album Hurts 2B Humanin April. Earlier in that week, P!NK received her star on the Hollywood Walk of Fame. Since her debut in 2000, P!NK has released 7 studio albums, 1 greatest hits album, sold over 60 million albums equivalents, over 75 million singles, over 2.4 million DVDs worldwide and has had 15 singles in the top 10 on the Billboard Hot 100 chart (four at #1). In addition, she is the recipient of three Grammy Awards (twenty nominations), one Daytime Emmy Award, two Billboard Music Awards, seven MTV Video Music Awards (including the 2017 Vanguard Award recipient), two MTV Europe Awards, two People’s Choice Awards, was named Billboard’s Woman of the Year in 2013 and has sold out arenas all over the world. Get the Limited Edition Pass for early access to the show and a digital download of new album ‘Hurts 2B Human’ here! EXTRA DATES ADDED IN THE UK & GERMANY. International Pop Icon P!NK has announced an additional 5 live dates across Europe next summer as part of her Beautiful Trauma World Tour 2019. Famed for her immensely powerful and unique voice and her high-octane live shows, fans are in for a spectacular treat when she arrives here next year. Kicking off at Amsterdam’s John Cruijff Stadium on the 16 June, the Beautiful Trauma World Tour will now visit Norway & Denmark, with additional shows also added in the UK and Germany. The tour will also see her play shows in The UK, Ireland, Belgium, France, Poland, Austria, Switzerland and Sweden. P!NK’s Beautiful Trauma World Tour, which started in Phoenix in March 2018, has already seen her thrill audiences across America, Australia and New Zealand with esteemed music magazine Variety claiming “I can say without too much fear of hyperbole that, in decades of concert-going and reviewing, Pink’s is the most ‘holy f—ing s—‘ act of physicality I’ve ever seen as part of a pop show”. Head to the set of P!nk’s “Just Like Fire” music video to see how director Dave Meyers and the crew accomplished Alice Through The Looking Glass movie magic and find out who P!nk’s favorite character from the film is now by clicking here or pressing play below! “Just Like Fire” is available for download now on iTunes, Amazon Music and Google Play. Add “Just Like Fire” to your streaming music collection on Spotify and Apple Music today.